As a result of stable and moderate growth year by year, now Silos Córdoba exports its products and services to 52 countries in 4 continents. Pablo A. Fernández, Global Sales Director of Silos Córdoba, told Miller Magazine Córdoba based company’s expansion to overseas markets. He told that to reach the current situation the company have five pillars: quality, engineering, price, customer service and company culture. In that regard he also emphasized Silos Córdoba’s ‘Main Contractor’ character. “Market trends and technical solutions are evolving to the figure of Main Contractor- a single supplier able to do complete project integration and management. In this point we count with more than 20 years of experience.” he said. Silos Cordoba is a leading manufacturer of grain storage, handling and conditioning solutions. You are a key player in the world grain storage market. Can you tell us about your company’s history in the industry? Could you please provide us with some brief background information on your company and its activities? Silos Cordoba gained a good position in the international market as a result of its expansion which started around 1992. Firstly in Latin America and Europe and years after in Middle East, Asia, East Europe and Africa. Currently the company has commercial network in 37 countries and projects in 52. This statement is easy to say now but there is lot of effort behind: working teams focused in different areas such as Quality&Customer Service, Engineering, R&D, Supply Chain&Manufacturing, Electronics, Logistic, Finance&Administration and Commercial. Quality: for us it is a must. Quality in the materials used: by using the higher galvanization and steel strength available in the market. Quality in the design: by using the latest design versions for silo technologies: ANSI/ASAE, EUROCODE, DIN. This lead us to offer higher safety measures in the technology. Customer Service: We are proud to say our customers are also our friends since we generate and build trust day by day. We are a very customer oriented company and understand business is not only about profits but also about trust, good service and problem solution. Engineering: We keep ourself yearly updated in new designs rules, in new solutions able to improve storage solutions and new products developed. It is important to know we are not only a manufacturing company but also and engineering company. Price: We are very aware about the market needs, the level of competition and the volume of investment our projects require. That is why we are quite well positioned in price worldwide. Employees&Company culture: Definitely our team is the pillar of our success. Can you give us some information about your production capacity and facilities? How many people do you employ?Our company had to move 3 years ago to a new facility. It was as a result of the growth of the company both in number of employees and turnover. We are still in Cordoba city but in a newer and better developed industrial area. 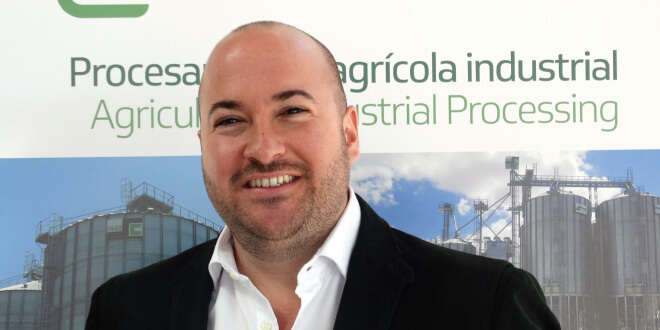 Silos Córdoba as engineering company: Market trends and technical solutions are evolving to the figure of Main Contractor- a single supplier able to do complete project integration and management. In this point we count with more than 20 years of experience. In relation with this is, and an another important different with other companies, it is the fact that we are manufactures of a wider range of products: storage silos, structures, catwalks, supports, handling equipment, electrical panel, programming&software solution and supervision&erection team. Quality: We are transparent about our technical information and our customer are always aware of this strength because we use higher steel strength, better galvanization and newer designing rules than other companies. Team: Highly skill and well-motivated team looking forward to face new projects, new challenges. Flexible: Thank to the combination of new facilities, better process automation and the team, we achieve to have shorter delivery times. Quality: Companies are focused in different levels of quality. This depends of the positioning each company wants to have in the market, the niche of the market they are looking after or even the law applicably in each country. Weather conditions: We work in 4 continents with many different weather conditions: deserts, tropical, dry and humid, etc. Each of them bring different parameters to keep in mind for the designing for each single project. Product stored and the purpose: Nowadays we store in our silos more than 60 types of products: cereals, pulses, feed, biomass, pellets and granular products for many different sectors: breweries, distilleries, flour mills, feed mill, rice mill, pasta, power production, traders, etc. There are so many options, that establishing fix criteria for a final solution is not possible. Therefore we end up in what customer needs: Customize solution. What can you say about the innovations and solutions that you have brought to the grain and feed industry? What will your R&D department offer to customers in the coming period?Regarding the past years: the market saw the new developments we brought regarding handling equipment, where we developed better solutions focused in safety and longer useful live. The feedback of the market was very good and our sales in handling equipment not only increased but it positioned us in a higher quality level, so we are able now to compete with the biggest and well reputed handling equipment companies. Could tell us Silos Cordobas’ recently finished and ongoing important projects?We are just about to finish of the biggest projects (if not the biggest) in SAARCs countries. It is focused in paddy rice and it has 60.000 tons of storage capacity: following our main philosophy we were the Main Contractor and our scope of supply was complete: design, manufacture, integrate and erect everything above the ground: grain reception, cleaning and drying section, storage and connection to the mill as well as complete automatization.